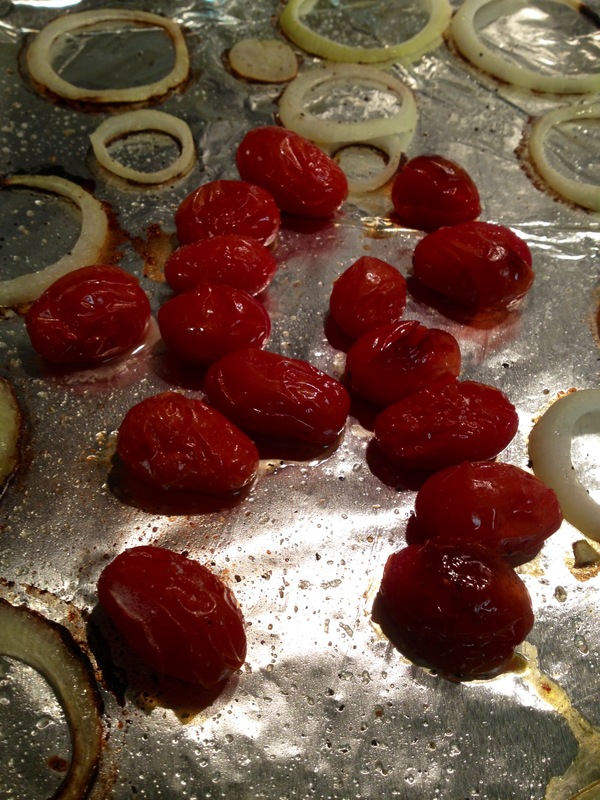 Recently, I’ve heard a lot of talk about roasted or grilled tomatoes. Now, this may not be a new concept but it definitely is to me. Up until last year, I had a terrible fear of tomatoes. I wouldn’t touch a raw tomato. They disgusted me. Long story short, I eat them a LOT now and decided to take my Saturday night home alone as the perfect opportunity to try them out. 1. Cover a baking sheet with foil and preheat the oven to 400. Spread out the onion rings and tomatoes onto the baking sheet. Spray with oil or Pam Spray. Sprinkle salt and pepper. Roast in the oven for 10-15 minutes, checking after 10. 2. Meanwhile, cook the pasta according to directions on the bag. If you use the same kind I did, it does not take very long. Drain, reserving about 1/2 cup of the pasta water. Set aside. 3. 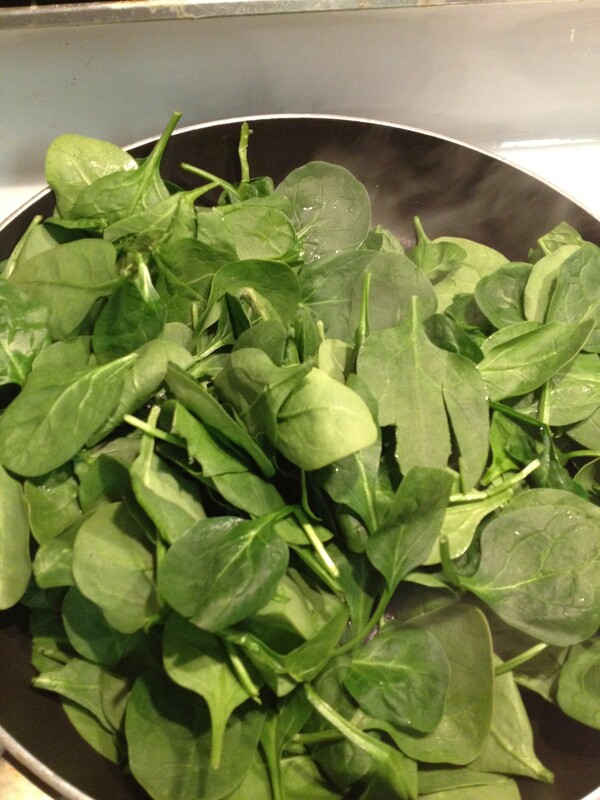 Heat the spinach in the same pot you cooked the pasta. Add the pasta back in with all seasonings, 1 teaspoon of Olive Oil (or more if you’d like… I don’t like it to be too greasy), the lemon juice, garlic and Parmesan cheese. Add the tomatoes and onions once they are done cooking. Stir to combine and heat thoroughly. 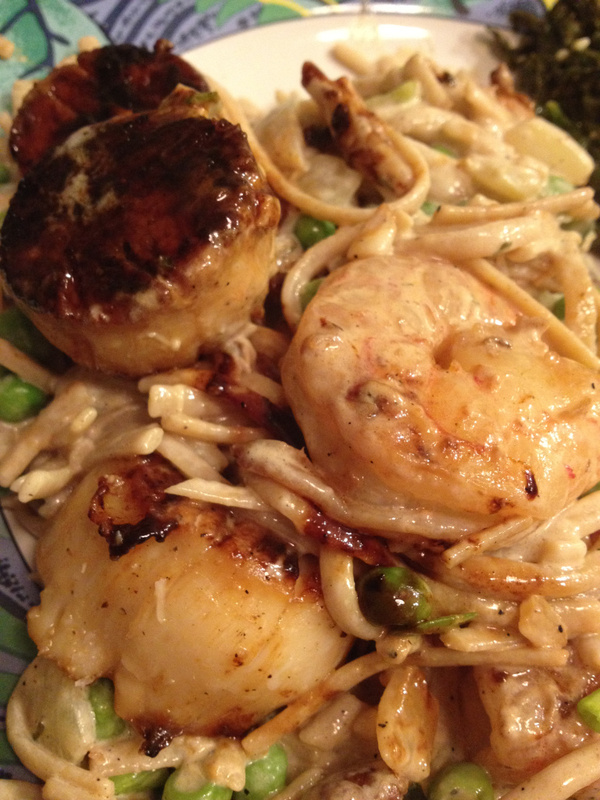 I even snitched a few of the roasted onions while I was cooking… they were sooo good! The tomatoes were a nice touch. Roasting them brings out the sweetness! 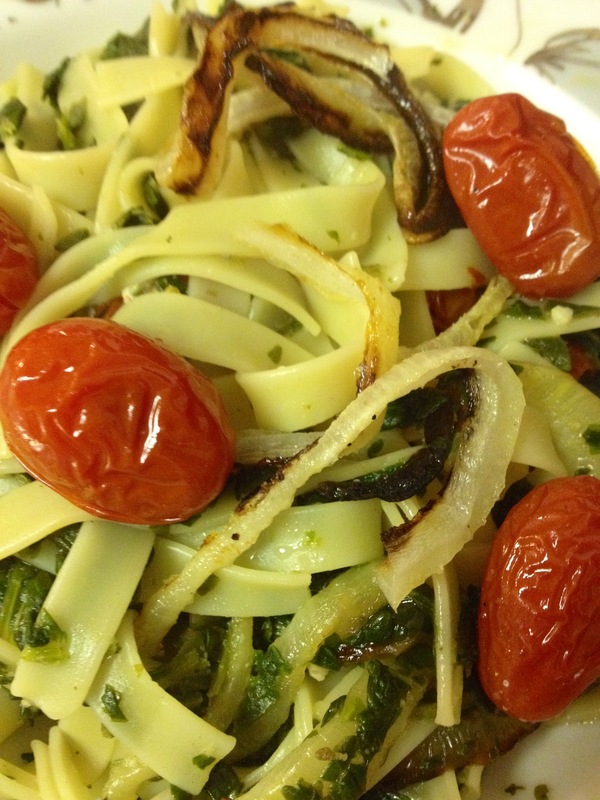 Although this recipe isn’t anything TOO outrageous, roasting the tomatoes and onions was a really easy way to spice up a really simple pasta dish. 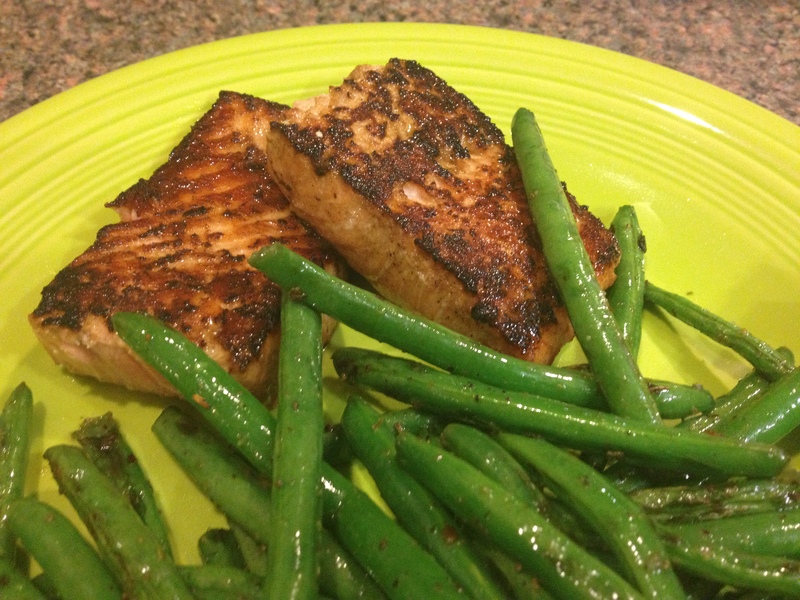 I actually had a piece of frozen salmon waiting for me too… so I stuck that on my grill pan with some salt, pepper and a squeeze of lemon juice. I didn’t do too bad for a night of doing nothing all by myself! Have you ever tried grilled pineapple? This past summer, I tried it out on the BBQ and loved it! 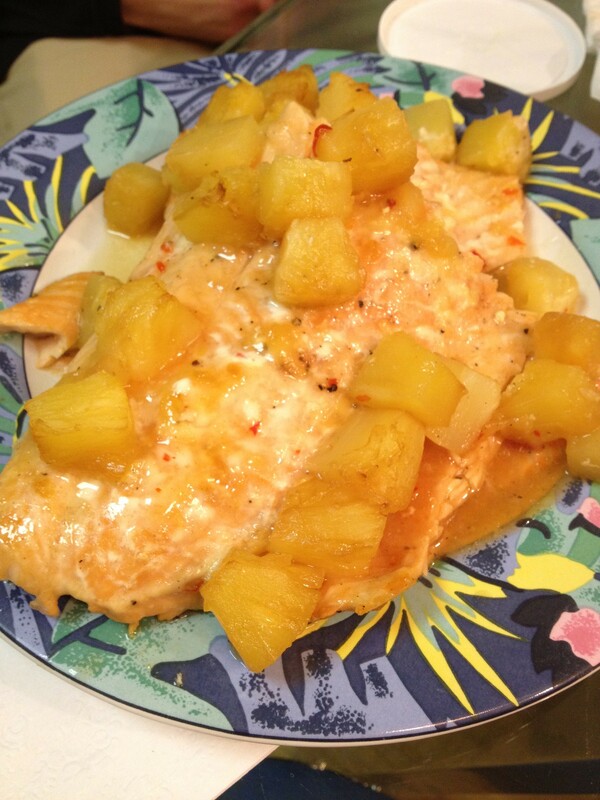 Since it’s not quite BBQ weather, I decided to try to do a salmon with pineapple baked on top. 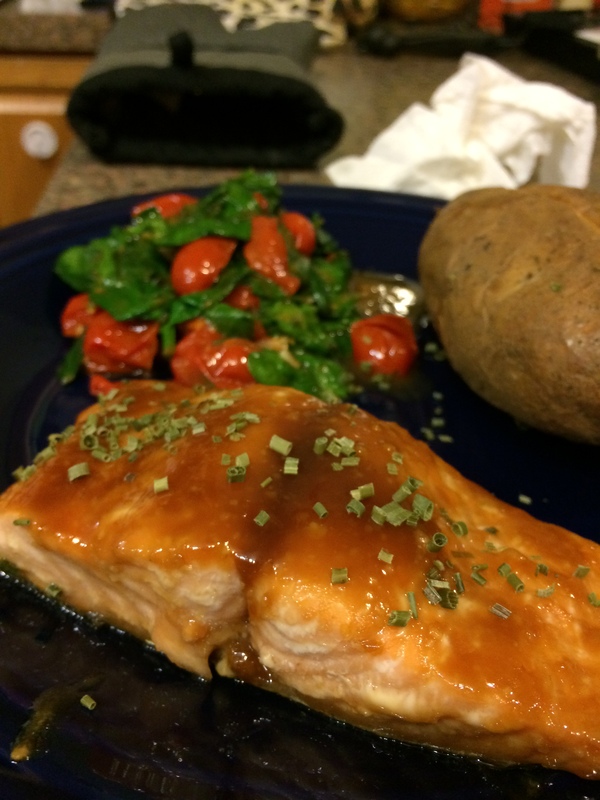 We even baked the salmon in the entire can of pineapple juice which kept it really moist and flavorful. 2. Rinse and cut the salmon to fit a baking dish. Season w/ just a pinch of salt and pepper. 3. 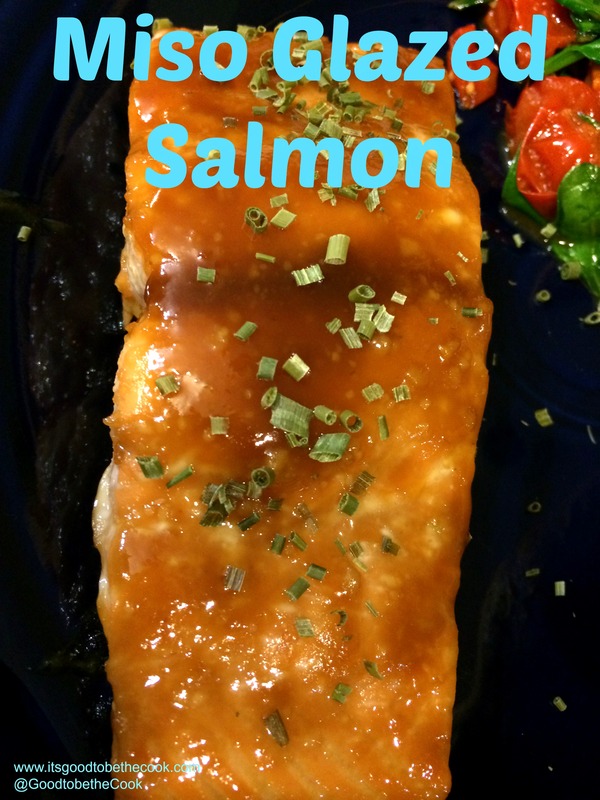 Put both sauces on the salmon, using a spoon or a brush. It doesn’t have to go on evenly. 4. 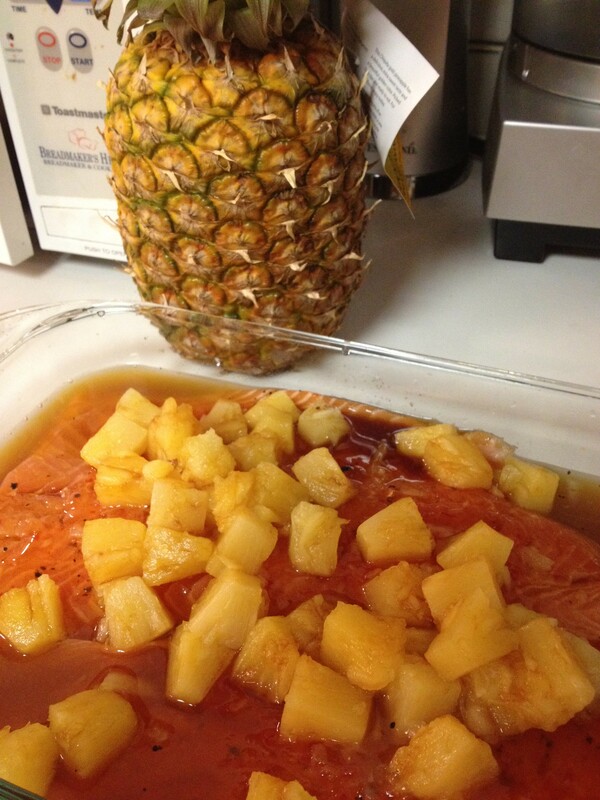 Dump the can of pineapple with the juice over the salmon. 5. 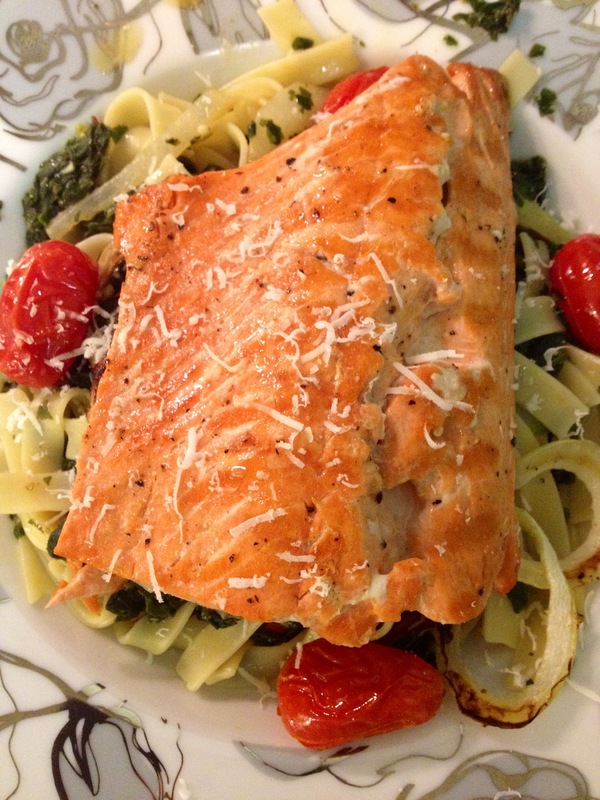 Bake the salmon for 10-20 minutes, depending on thickness and size. 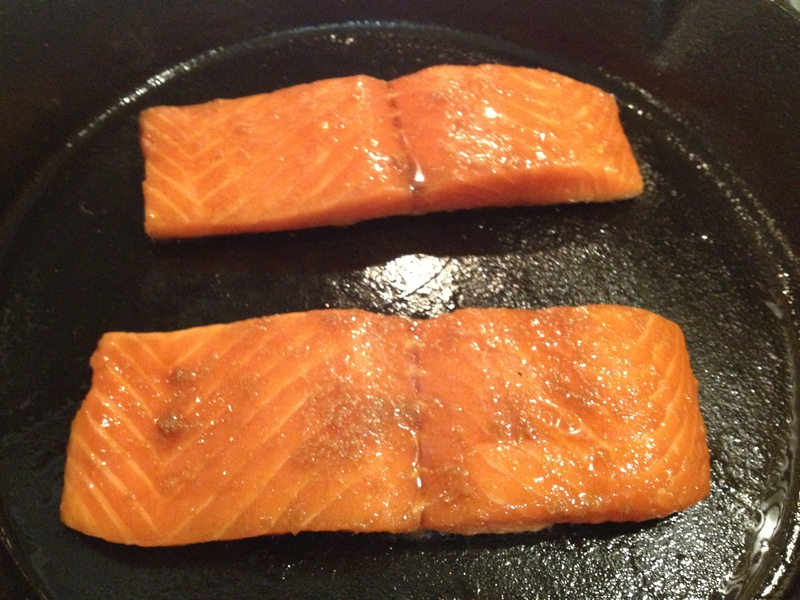 (Here are some tips if you need help deciding if your salmon is cooked!) **At about 1/2 way through baking time, take salmon out and “baste” using a spoon, putting the juices over the pineapple and salmon. 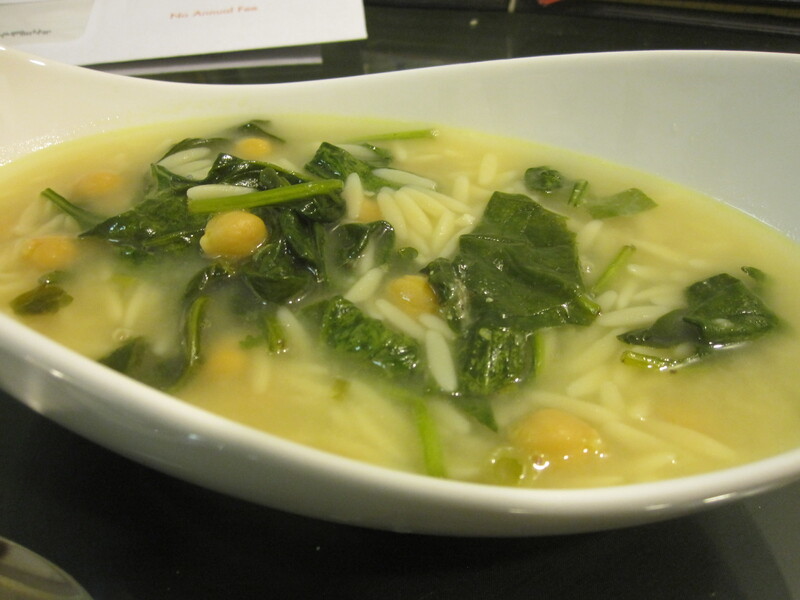 Although Philly has had its mildest winter in my memory… I still am craving SOUP. Two weeks ago, I took a stab at Tomato Balsamic Soup which turned out to be fantastic. This week, I decided to make a chicken broth based soup to keep things on the lighter side. 1. Heat olive oil in a large saucepan. Add garlic and green onions, sauté for 30 seconds while stirring. Add chicken broth and water; bring to a boil. 2. Add orzo, lemon rind, and chickpeas. Cover and cook 10 minutes or until orzo is done. 4. Ladle 1 ¾ cups soup into 4 bowls. 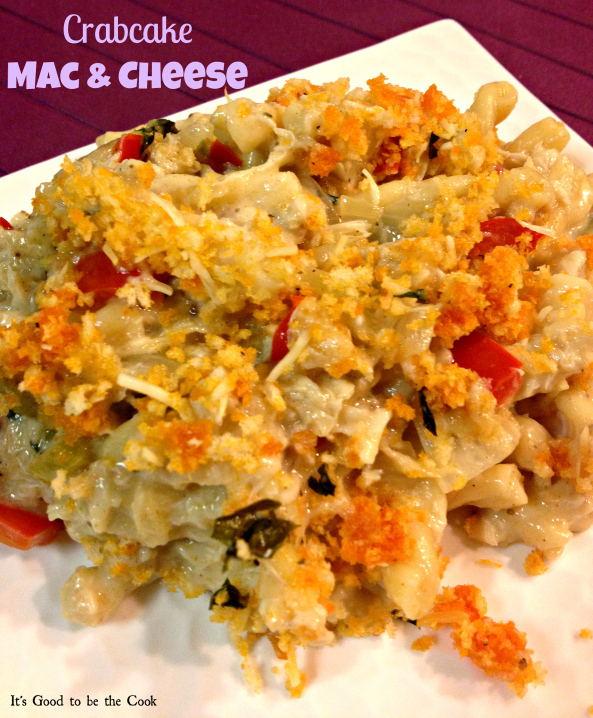 Top each serving with a sprinkle of cheese. This soup was awesome! I enjoyed the flavor of the lemon with the chicken broth. If I make When I make this next, I will use less orzo. I am a broth-kinda-girl and prefer my soups to be more soupy than hearty. I received no complaints so everything else I’d probably keep the same! Sidenote: I think this is the first recipe I’ve ever cooked that Dave didn’t feel the need to add hot sauce or cayenne pepper. SUCCESS!! 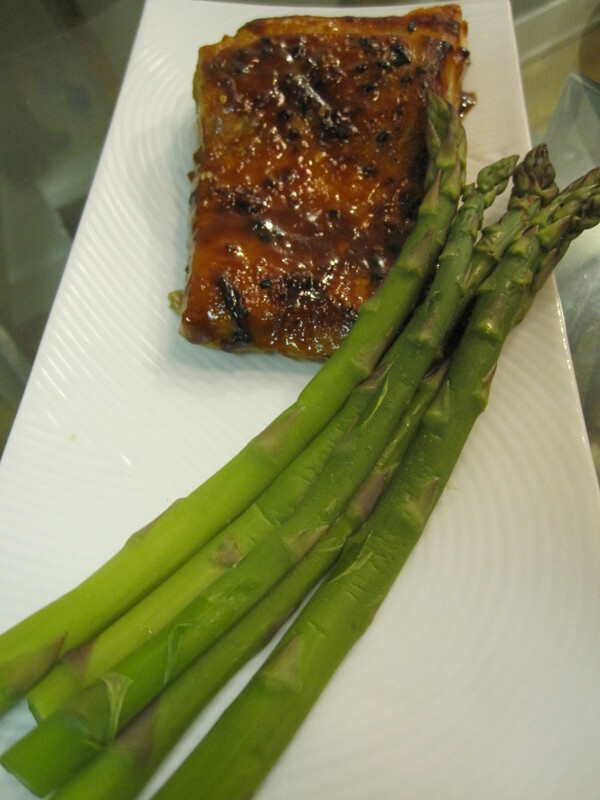 We ended up eating smaller portions of the soup so I could save some for lunches, and made a delicious Hoisin-Glazed Salmon with Steamed Asparagus to go along. 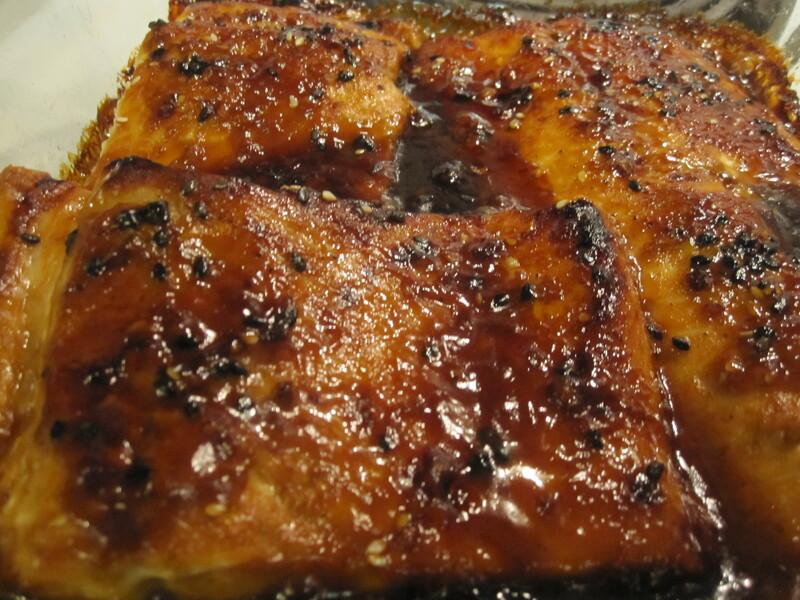 I used salt&pepper, garlic, black sesame seeds, hoisin sauce, and Wegman's Asian Garlic Sauce then baked the salmon in the oven. Voila! Canned Salmon might seem like a random post topic… a couple of years ago I would have thought that was disgusting! Ew! Little did I know that my Mom’s Salmon Cakes were always made from canned salmon. Even Oprah gives props to this canned delight, making a spot for it on her list of “25 Superfoods to Incorporate Into Your Diet NOW”. If Oprah says it’s good, it really must be. This week, I was inspired by my boyfriend Dave’s trip to see his family in Vancouver, to ask my Mom to make these bad boys. Two summers ago, Dave took me to visit his family in Vancouver, BC. I will have to tell you all about it later (it is the most beautiful city on earth) … but I had to mention to you that we visited a CANNERY! How appropriate that I’m making salmon cakes! 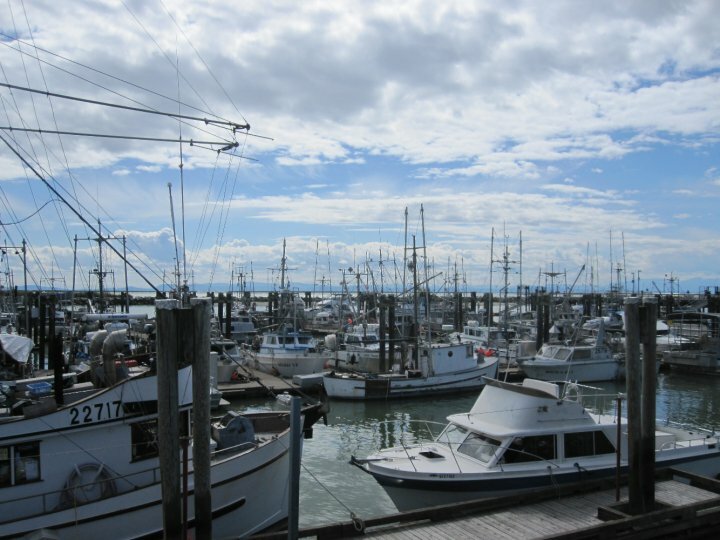 This is the fishing town of Steveston, just outside of Vancouver... where the Cannery is located. 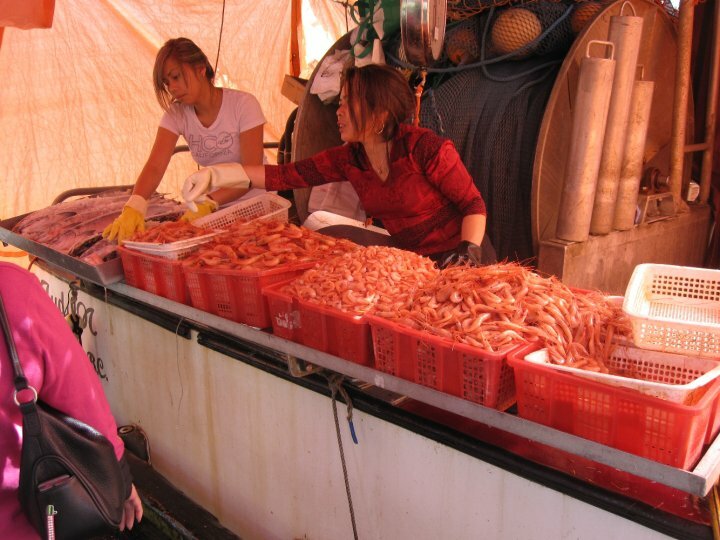 You can walk right up to the boats on the water to buy fresh fish... amazing! 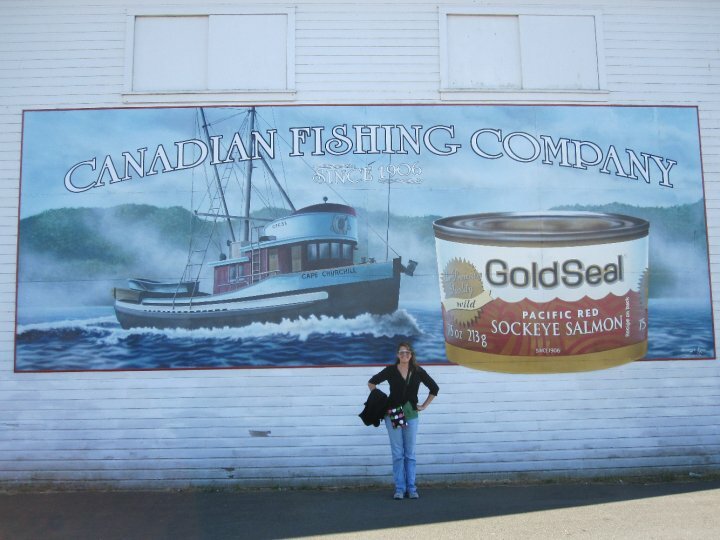 Here I am at the cannery! It is no longer in use, so we got to take a tour. One of my family’s classic go-to last minute dinners is my Mom’s Salmon Cakes. 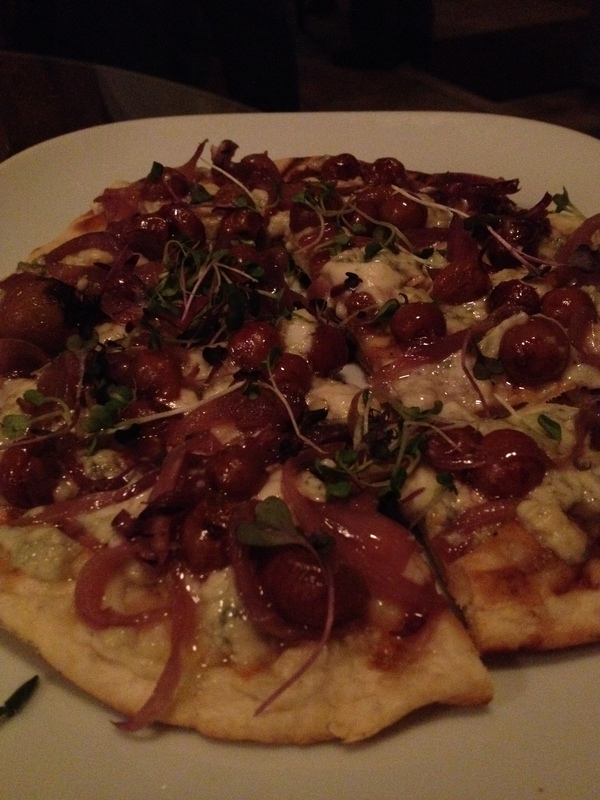 Whenever we can’t figure out what to eat, it ends up being picked probably one out of three times. 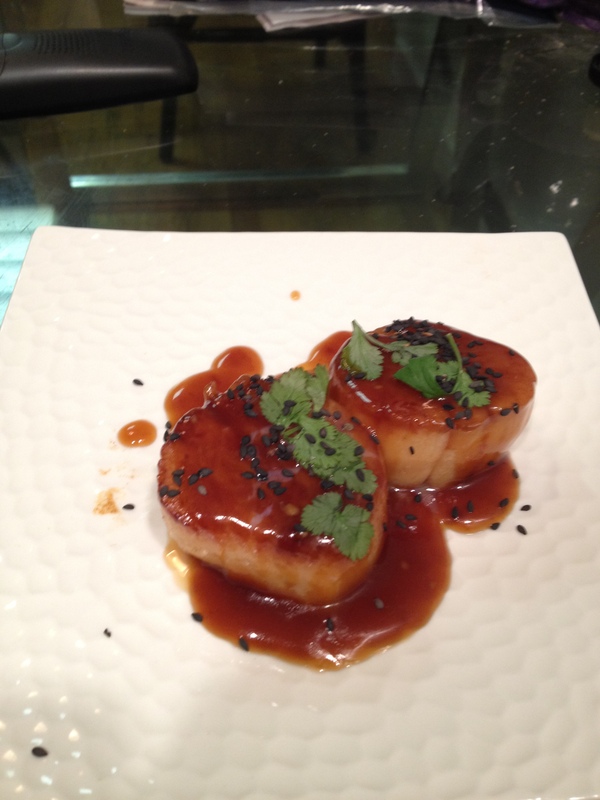 They’re so good and so easy to cook. I have watched my Mom make them a million times but have never learned to do them myself. In honor of Dave’s Vancouver family, we decided we had to make it and teach you too! This is the type of salmon we buy. We've found this is the best quality out there. First, put the onion in a food processor and finely chop. 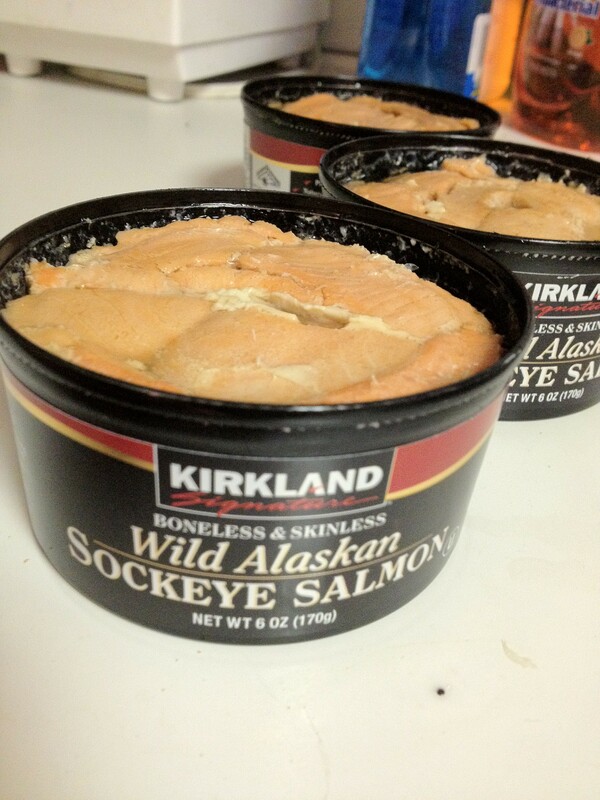 Take the cans of salmon, drain, and check for skin or bones (ours didn’t have any but other brands in the past have. Just remove them). Now, put the salmon in the processor and mix with the onions, on pulse. 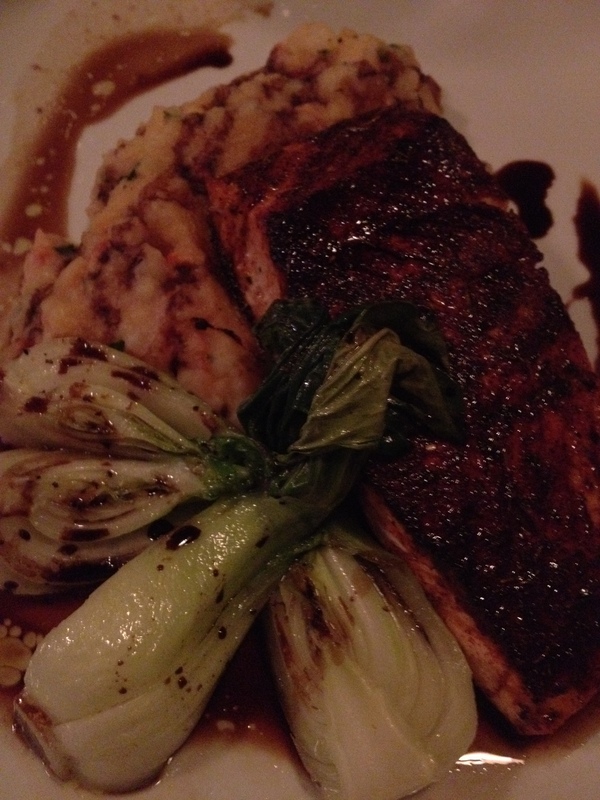 You don’t want to pulverize the salmon, just chop it up a bit and mix it in. Add one egg, and another if you have to. 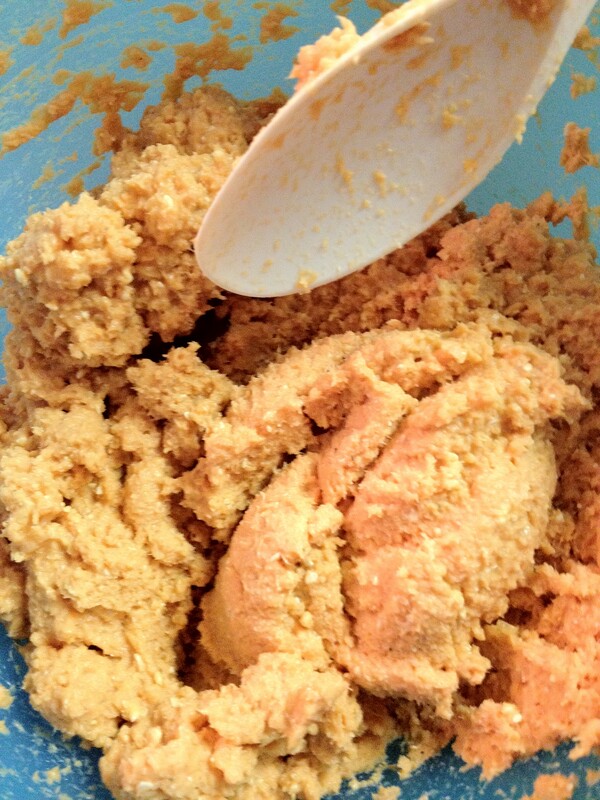 This is what the salmon mixture should look like after adding the eggs. 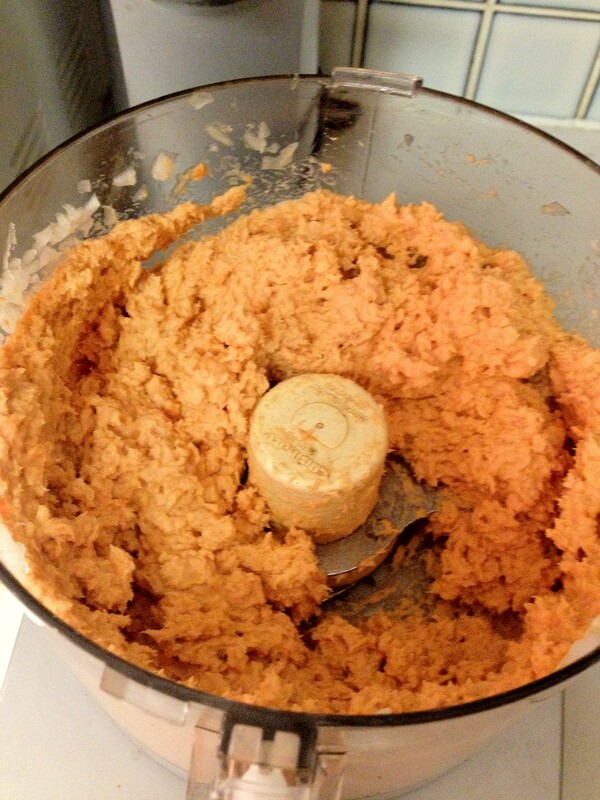 Next, with a spoon, mix in the matzo meal or bread crumbs, until it looks like it will hold its form. You can test with the spoon or try to make a patty with it. ...and this is what the mixture will look like after the matzo meal. You can see that it will stick together by pressing the spoon down. Heat enough canola oil in a large skillet so it covers the bottom. Using your hands, make and flatten six patties out of your salmon mixture. 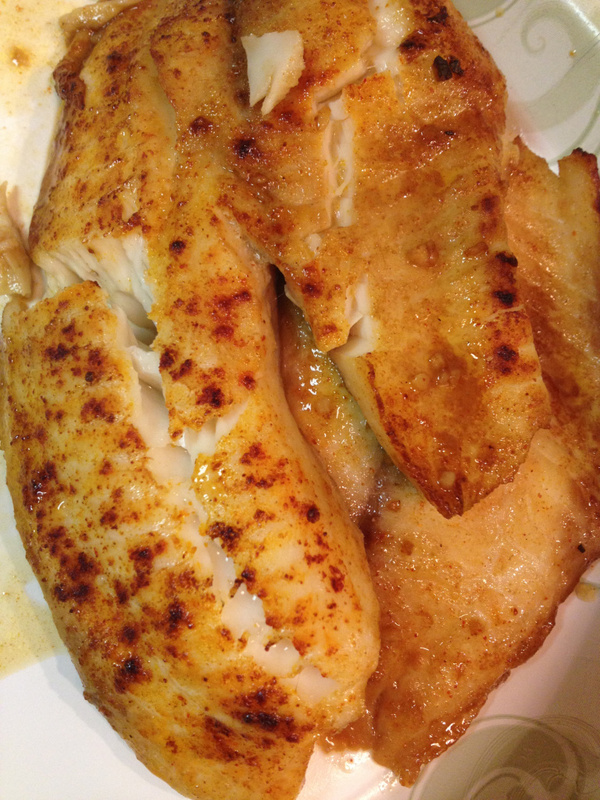 Make sure they are the same size and thickness so they cook evenly. Carefully, put the patties into the hot oil. 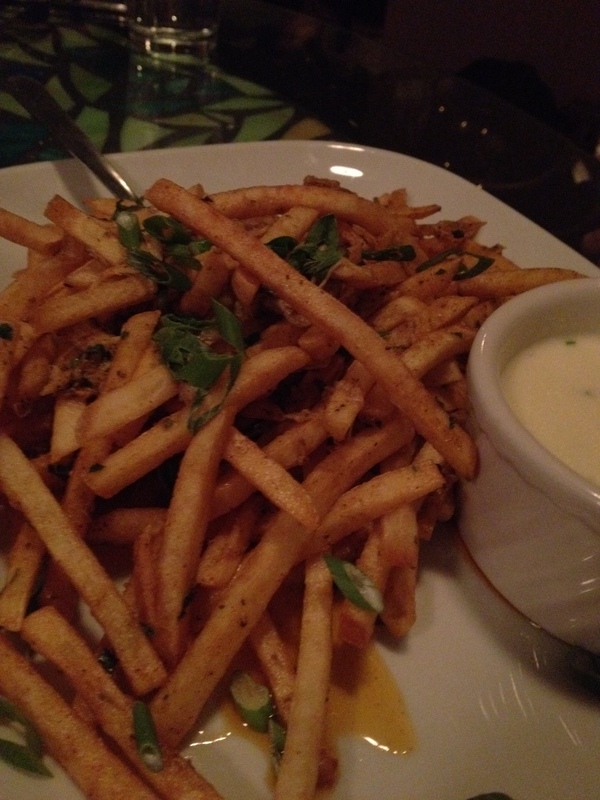 Like a good burger, you only want to flip them once if possible. They aren’t that sturdy and you don’t want to mess with them if you don’t have to. We cooked ours for 5 minutes on the first side, flipped them, and cooked the second side for 5-7 minutes. Once they are done, you can place them on a plate with a paper towel to get off any excess grease. 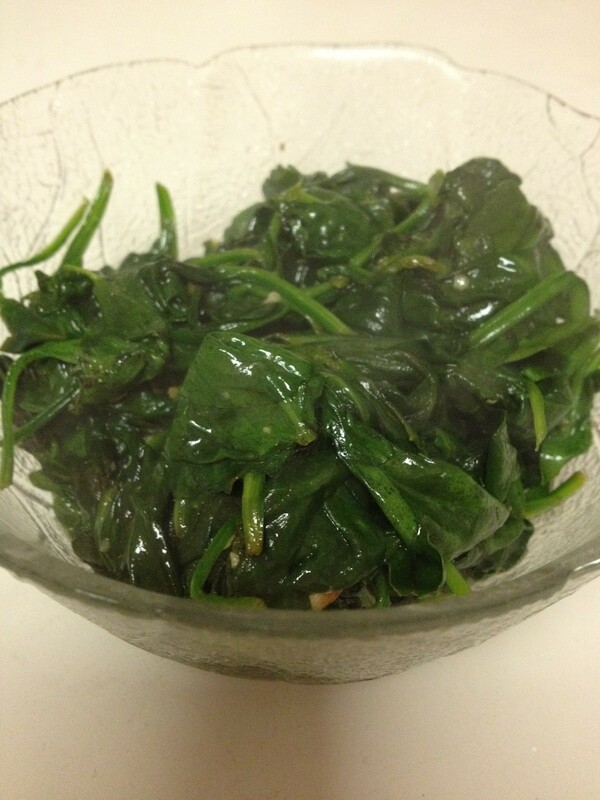 I also had a bag of fresh spinach to use for this meal, so I made a quick side of sautéed spinach and garlic. 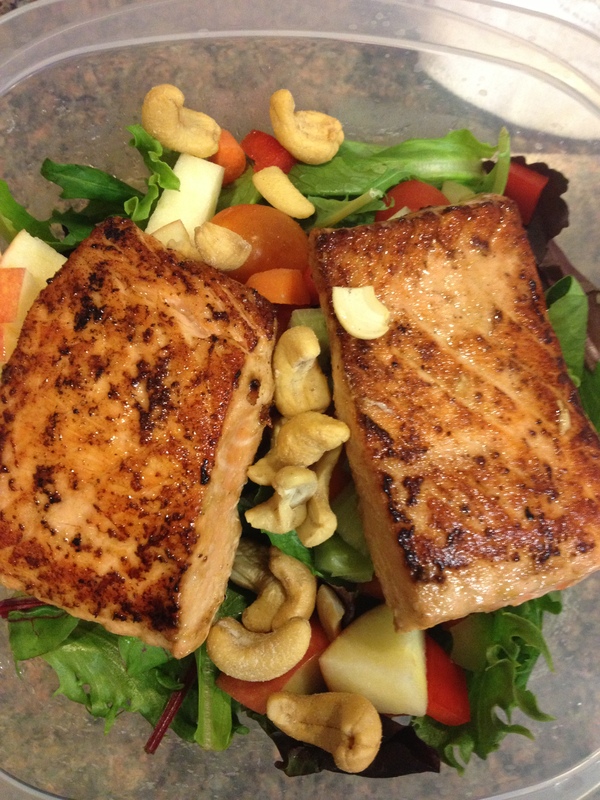 It was so simple, so yummy, and so healthy! First, I put about a teaspoon or two of Olive Oil in a big sauté pan. I heated the oil with ½ teaspoon of minced garlic. I mixed the garlic around in the oil for about a minute, then added a sprinkle of Red Pepper Flakes, Black Pepper, and just a shake of Trader Joe’s Sea Salt. Spinach always looks huge before you cook it. I dumped the entire bag of spinach into the pan and stirred constantly for about two minutes until the spinach turned bright green and shrunk to the size of about a cup. I squeezed the juice of about ¼ of a fresh lemon in and stirred it around for a minute. 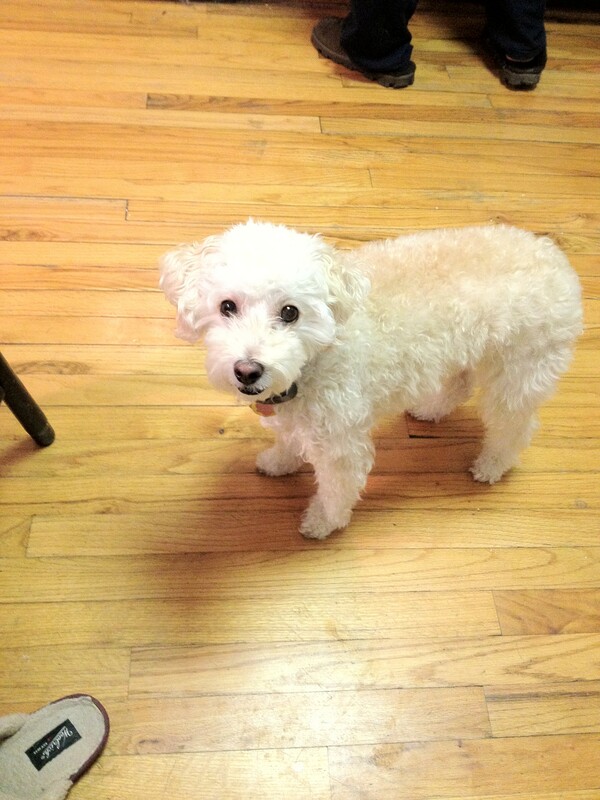 Stelly-Bear loves to help out in the kitchen! The finished product. See how much it shrunk?? That’s all! The spinach was done, and amazing. Make sure you eat the salmon cakes with lots and lots of ketchup… it’s surprisingly so good but simple to make. 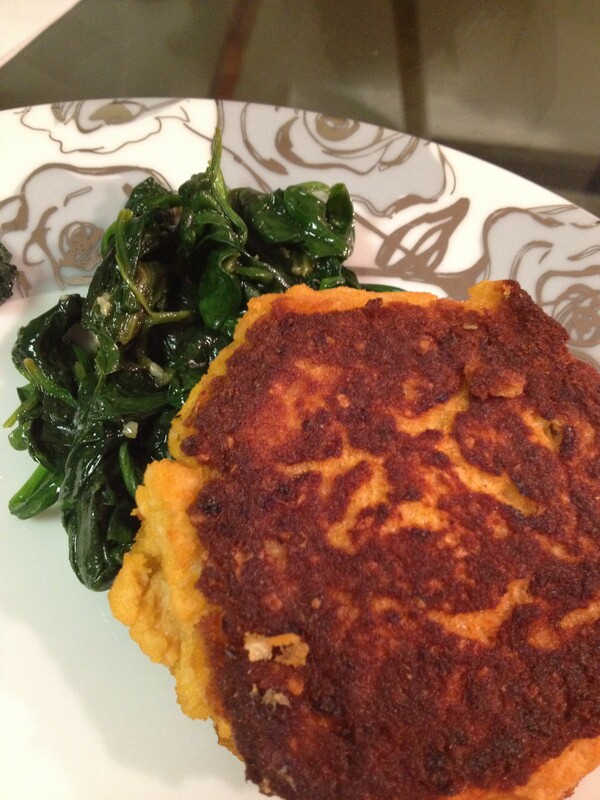 If you like salmon and always wanted to try to make crab cakes, this is a great start! It’s an easy and inexpensive way to try it out. Enjoy! What an easy meal! Don't forget your ketchup!